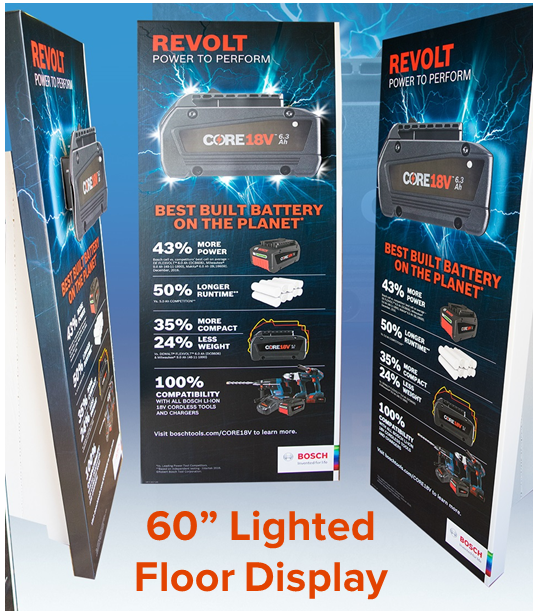 Launching its new Revolt line of industrial batteries, Bosch needed to communicate this new product’s “Power to Perform.” The company struggled to find a way to communicate the product's new power attributes at the point of sale. 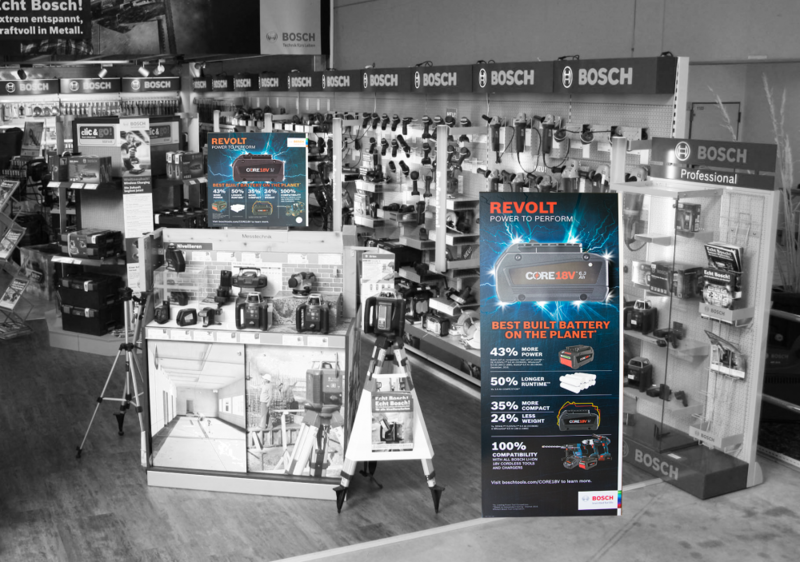 Bosch needed a way to highlight Revolt’s significant power and longevity advantages over the competition. 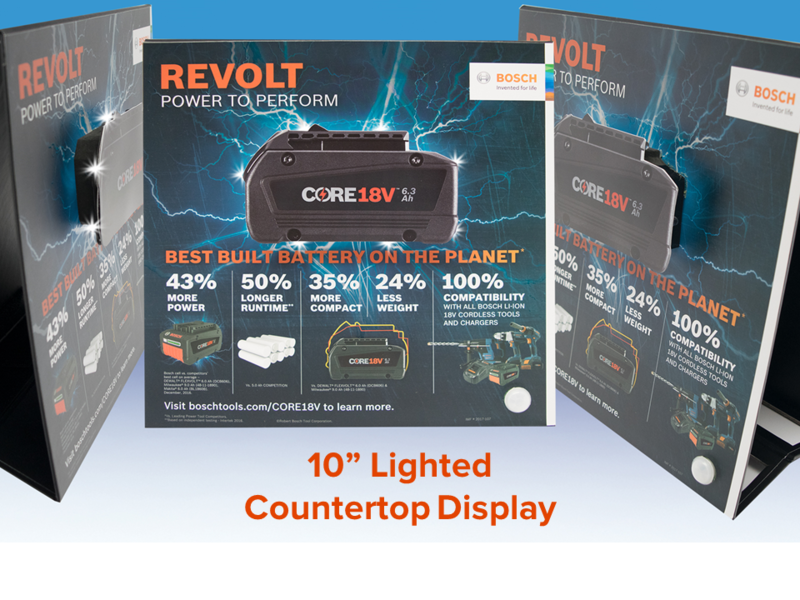 Realizing the explosive power of lightning was the perfect image for this campaign, Americhip designed a 2 foot corrugate counter top display and a 6 foot corrugate floor display that crackled with electricity each time a consumer passed the displays. Mounting a 3-D lug on of the battery to the front of the displays, Americhip housed its custom LED electronics package behind the image to give real light and energy to the lightning graphic. Powered by D batteries and triggered with a motion sensor, these innovative displays grabbed the attention of every shopper in the aisle of hardware stores across the country. When you need to add energy and power to your instore displays, turn to Americhip and our best in class LED, EL, Fiber Optics, E-Ink and other lighting technologies to generate a dynamic visual presentation perfectly matched to your message.